So you have selected a size, shape, and type of implant for your Breast Augmentation Surgery. Now let’s talk about the procedure and what you can expect when you are recovering. As your Breast Augmentation procedure begins, the inframammary incision will most commonly be made along the natural crease beneath the breast. The peri-areolar incision is then made around the edge of the areola. Because of the location of the incisions, the scars from the procedure are easily hidden by the natural anatomy of the breast. In most cases, patients will need to allow for two weeks off of work (although swelling may occur longer). You will need someone to assist you with routine tasks for at least 24-48 hours post procedure. Bending over or lifting your arms may prove to be difficult the first few weeks after your Breast Augmentation surgery, but by six weeks most patients can resume regular exercise. Although Breast Augmentation is a common procedure, it is still normal to have questions about the procedure. 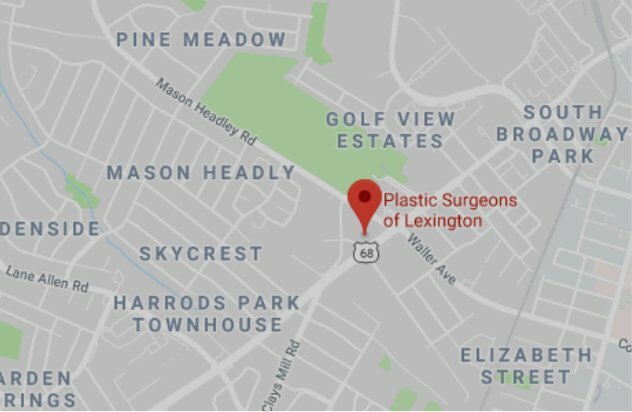 Contact Plastic Surgeons of Lexington today to arrange a consultation appointment to decide if Breast Augmentation Surgery is right for you.